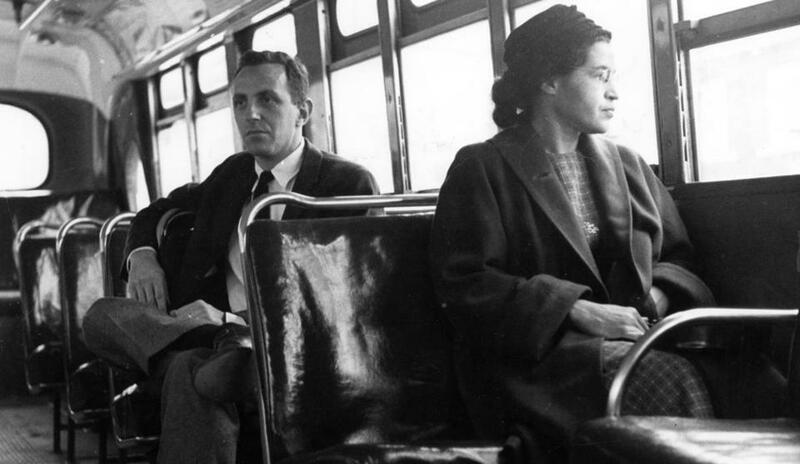 Rosa Parks sat in the front of a city bus in Montgomery, Ala., in 1956. There are no signs enforcing segregated seating on buses anymore; bus drivers can’t order a black woman to make way for a white man. Instead, a system of structural barriers and institutional neglect ensures that de facto segregation, by race and by income, does a lot of the same dirty work. 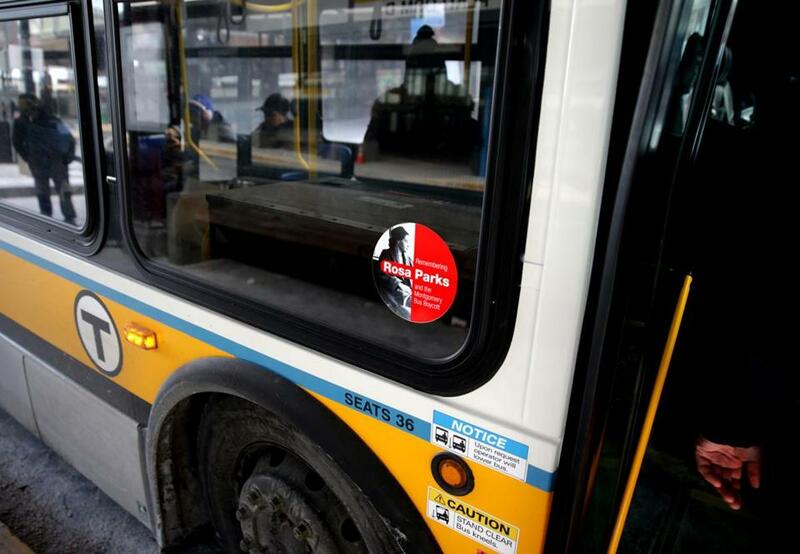 MBTA buses now have stickers on them honoring civil rights activist Rosa Parks. Meanwhile, many who can afford to avoid the bus have simply opted out. Nearly half of bus riders surveyed between 2015 and 2017 by the Metropolitan Planning Organization reported household income below $58,000 a year. Another 17 percent declined to answer the question. “It’s almost like you’re asking for a civil rights lawsuit. It’s like you’re begging for it,” said Maria Belen Power, associate executive director of the Chelsea-based environmental justice group GreenRoots. If you want to see how racism has moved from signs and slurs to systems and structures, a slow ride across the Tobin Bridge on a 111 bus packed with minority riders is a pretty good place to start. Agyeman said Boston ought to do something much more dramatic in Parks’s name: Enact a congestion charge on private vehicles traveling to or from Boston, with the revenue going to improve transit, and bus service in particular. 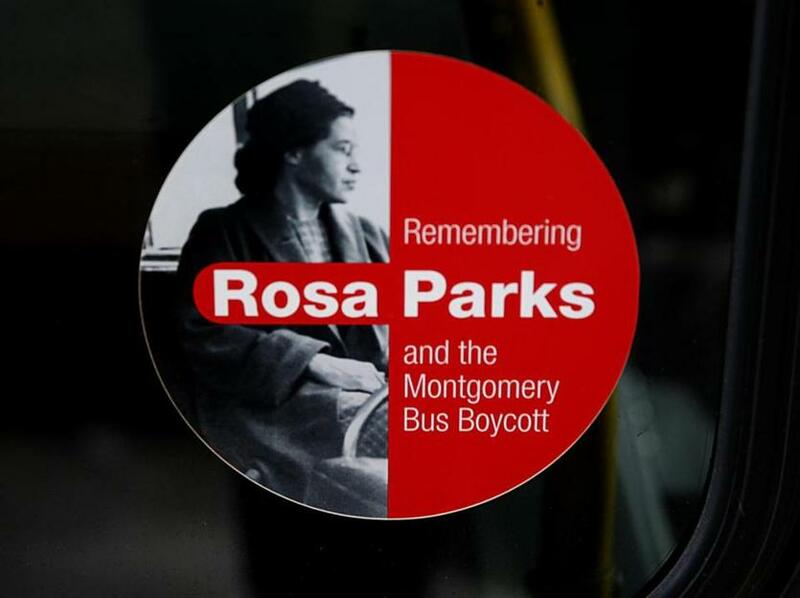 MBTA buses now have stickers on them honoring civil rights activist Rosa Parks. But the bus system disproportionately fails low-income people — largely people of color and immigrants — whose livelihoods depend on it. “At the end of the day, the MBTA does not have enough revenue to run either the service we have or the service we want,” Paul Regan, executive director of the MBTA advisory board, said last year. Reach Nestor Ramos at nestor.ramos@globe.com. Follow him on Twitter @NestorARamos.